No, we do not have two shacks.... so for pictures of "my" radio have a look at Henk's pages. I am not as active as I should be, really and have spent most of my "career" in amateur radio organising things instead of talking on the radio. Henk and I married in 1963 but it took till 1976 till I tried and got my first license in The Netherlands - VHF and Up only - with the callsign PE1BDZ. However in less than a year I got through the "code barrier" and upgraded to a full license as PA3ADR. Those first years I was pretty active, both HF and VHF and made many contacts with OM's and YL's all over the world. The"Day for the Amateur" 1977 (the annual Dutch ham-ralley) I asked the then president of VERON - Flip Huis - PA0AD (sk)- why there was no YL-Club in The Netherlands. His reply: "Why don't you start one...", which I did. The Dutch YL Club took off and was only recently assimilated in the VERON Traffic Bureau (2007). Because of my involvement with the YL-club I was elected on the board of VERON - the Dutch amateur radio society affiliated with IARU. My major field of interest was - apart from representing the YL-Club during the first years - the support of handicapped radio amateurs that wanted to get their license. I was also asked to chair the board of trustees for the VERON Fonds - a trust fund for the support of hams in need and for the support of special projects. At the time (early "eighties") the Dutch Radio Administrating Authority normally sat individual exams with disabled people. 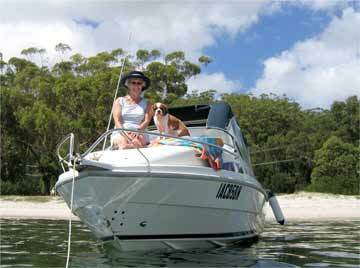 Within VERON I started a working group that organised the assistance for prospective hams with a disability. Most of our "clients" had a visual handicap but we try to adapt our course for any handicap. After a year of studying individually under the guidance of a mentor we organised a "revision" week at a holiday resort that was specially adapted for (visually) handicapped guests: "Dennenheul" in Ermelo Gld. The first four days of the week we revised each of the course elements and did mock tests. During the evenings the students could relax with entertainment and brief lectures (like on DX-ing, running a contest and propagation) from experienced hams. Usually we had a radio station on site to familiarise the students with the "real thing". On the Friday of that week the examiners came in and most times at the end of the day we had another ten or so new licensed hams! 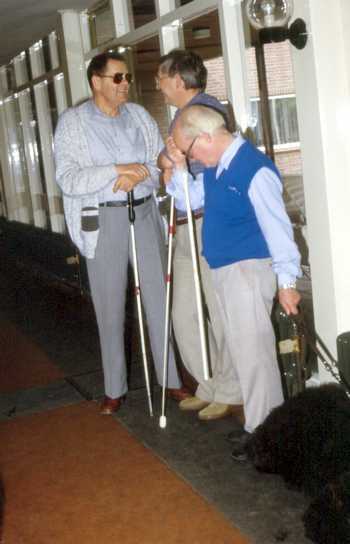 In the "early nineties" IARU Region I became interested and asked me to organise the pooling of knowledge about training schemes and adapted equipment for handicapped hams in a Region I committee: IPHA (Information Programme for Handicapped Amateurs). I was involved with that program until we moved to Australia in 1999. Once a year we published a report with contact details for the various handicapped hams organisations within Region I and with a summary of new developments and tips. In 1995 I was elected President of VERON and enjoyed celebrating 50 years of VERON. I developed several initiatives to attract younger people into the hobby. 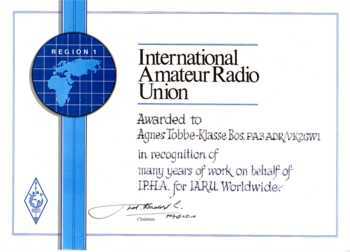 When I stepped down in 1999 I was made a life honorary member of VERON and also awarded recognition by IARU for my work.